Stir with ice and strain into cocktail glass. Top with spritz of Absinthe. She wanted French, so I started with Cognac and added the Framboise for some sweetness and some Benedictine for an herbal smoothness. 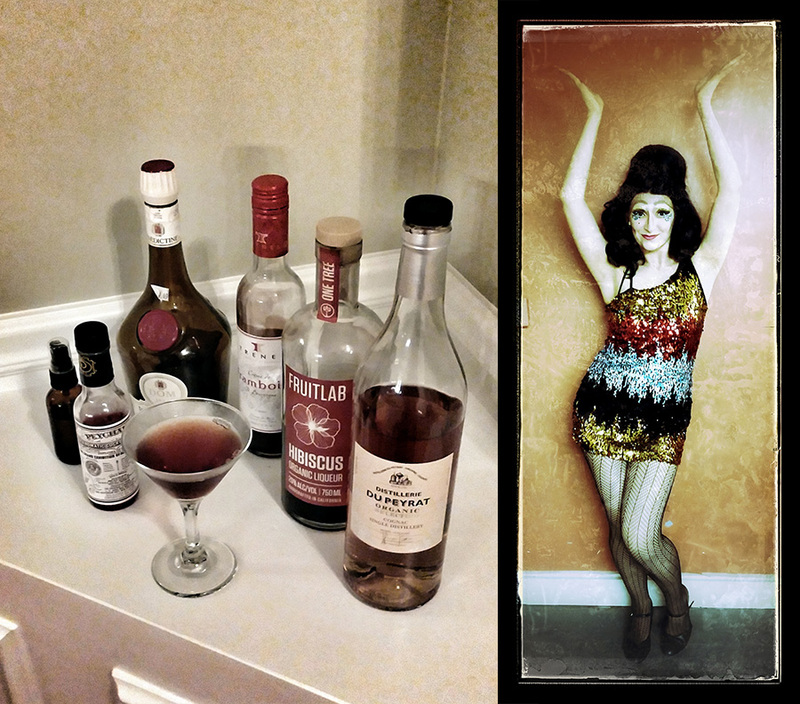 Odette’s a bit of a flower child, so I threw in some hibiscus liqueur for some additional sweet and floral hints. Peychaud’s added a little spicy bitters, and the Absinthe mist really tickles the nose on the sip.